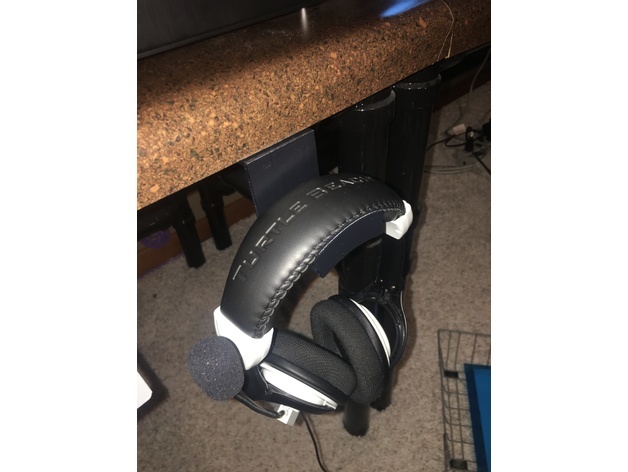 A basic headphone holder for mounting underneath a desk or tabletop. 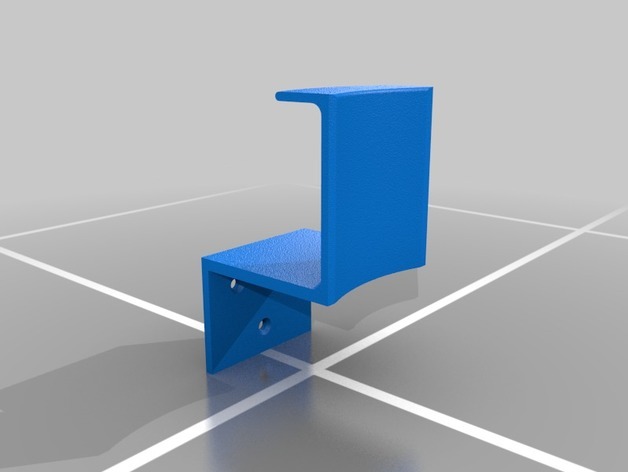 The design features three, countersunk screw holes for mounting. Originally designed for a pair of Turtle Beach headphones that had a fairly wide headband but will work for others. 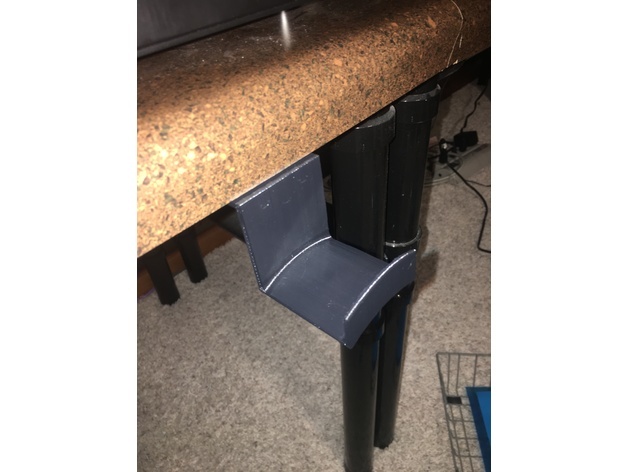 The mount reaches about two inches down from the bottom of the table/desk and two inches outward as well.